On 14 July 2017, the World learned that at least one additional person attended the 9 June 2016 Trump Tower meeting with Donald Trump Jr., Jared Kushner, Paul Manafort, and Natalia Veselnitskaya. The President's son failed to disclose that Mr. Rinat Akhmetshin was also present. 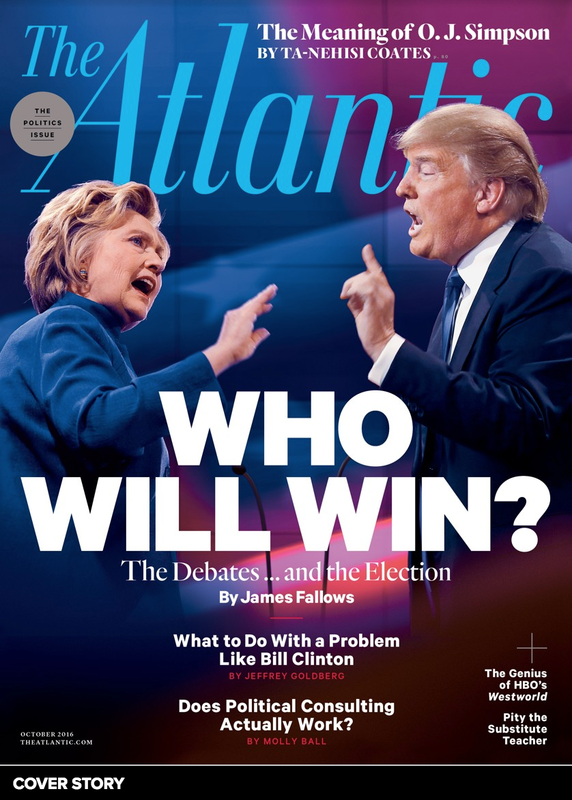 Mr. Akhmetshin is a Russian-American lobbyist - as well as a former Soviet counterintelligence officer. He's also suspected to have continued ties with Russian intelligence. But was anyone else in the room? Did Donald Trump authorize this meeting? The video above is a segment of Sean Hannity's interview of Donald Trump Jr. from 11 July 2017. Their entire exchange lasted almost 20 minutes, however, a partial nonverbal analysis of a small, but crucial segment is included here. At the end of Sean Hannity's sentence (2:16), "Turn over everything that they want - and you feel you already have", Donald Trump Jr. looks down and to his right. When eye contact momentarily diminishes during deception, the gaze most often deviates in this direction/quadrant. 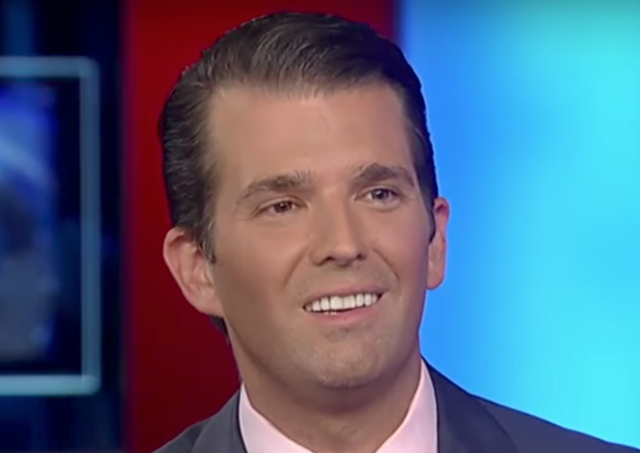 Of monumental importance - Donald Trump Jr.'s mouth also momentarily adopts a Pursed Lip Configuration - more specifically a Forward Lip Purse (not to be confused with a Lateral Lip Purse). A forward lip purse indicates a withheld disagreement and/or a clandestine plan. Moreover, those who display the forward lip purse believe that they're the alpha - superior to those with whom they're speaking (or here, those who may be watching - the viewing audience - the betas). In addition, individuals displaying a forward lip purse believe they have a good chance of successfully implementing and carrying out their plans. 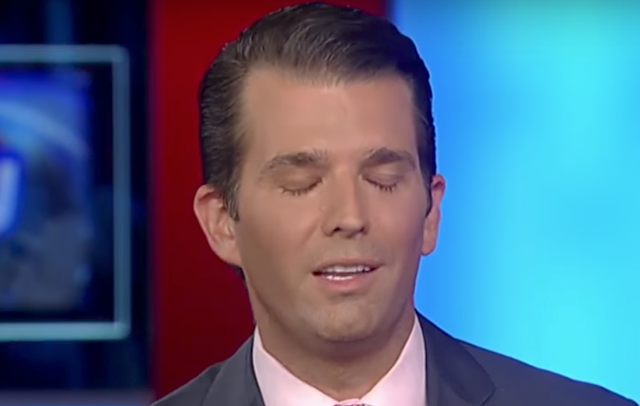 You may have also noticed Donald Trump Jr. blinking with significantly increased frequency and duration. During this particularly long blink, he's looking straight down (the second most common direction of gaze deviation during deception) - as he says, "Yes" (2:16). Now, go back and watch the movement of Donald Trump Jr.'s head and neck when Sean Hannity asks, "You said in a tweet, you would fully cooperate with any investigation" - and "Completely" - as well as "Turn over everything that they want - and you feel you already have" and "that means you'll testify under oath - all of that" - after each of these prompts from Hannity, Donald Trump Jr. shook his head side-to-side in a classic "NO" gesture (illustrator). This is a five-alarm fire. Trump Jr. is very clearly disagreeing with Hannity's statements. The President's son's nonverbal behavior is saying that he won't cooperate and that he won't turn over everything to Robert Meuller. This dynamic is impossible to capture in still images. Please watch the video to fully appreciate this behavior. 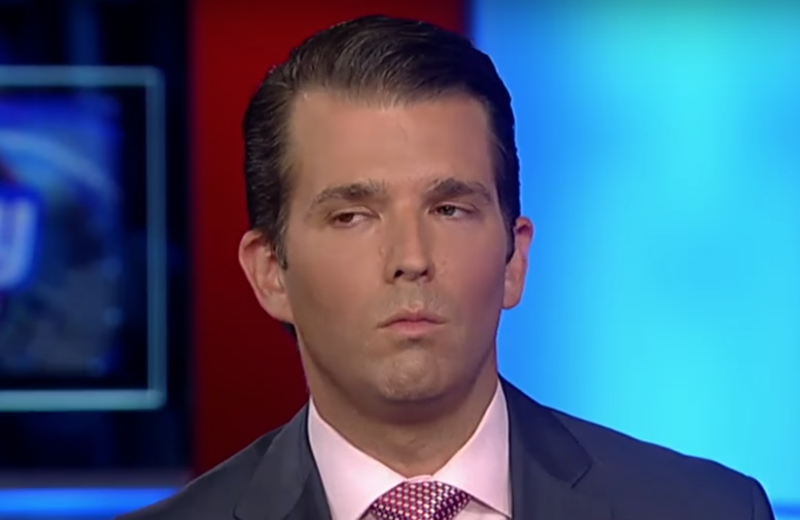 Shaking his head side-to-side,"NO" - when he should have been nodding up-and-down, "Yes"
SUMMARY: Donald Trump, Jr.'s nonverbal behavior exhibited in this video is highly indicative of deception. 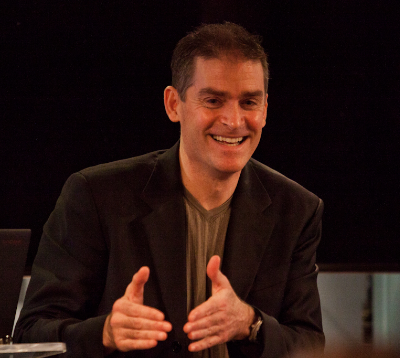 The act of blushing during a smile (following an eyelid closure while saying, "yes")- as well as multiple displays of nodding "No" rather than "Yes" - and also forward lip pursing in the contexts described above - are all particularly damning signals. Donald Trump Jr.'s nonverbal behavior in this interview also indicated, with a high degree of certainty, that an undisclosed strategy was being planned and/or executed. Actors take note - for in an alternative reality, this clip could be used in a movie scene portraying quintessential guilt.